... the music from your life! Nine Thirty Standard is all about fun and engaging live music spanning 10 decades—blues to country, standards to rock...the music from your life—plus original songs from their own lives. The band brings together the performing and song-writing talents of Amy Anderson and Jerry Fitzpatrick. Jerry has been playing guitar, writing, and singing in a variety of styles for as long as he can remember. Amy has been performing and writing since her high school years. Amy Anderson (vocals, keyboard) has been performing and writing since her high school years. She was all about choir and musicals in high school, and added jazz choir to her broad range of musical interest while in college. 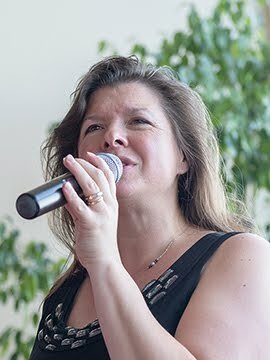 She has led and been part of worship teams at several churches around the Madison area since before the turn of the century. Amy’s vocals reflect a joy and passion that quickly fill a room. 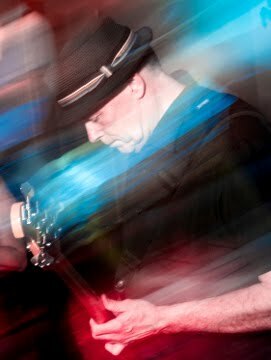 Jerry Fitzpatrick (guitar, vocals) has been playing guitar for as long as he can remember and has been in a variety of bands over his career. He has played styles ranging from rock, country, folk, to swing-blues. 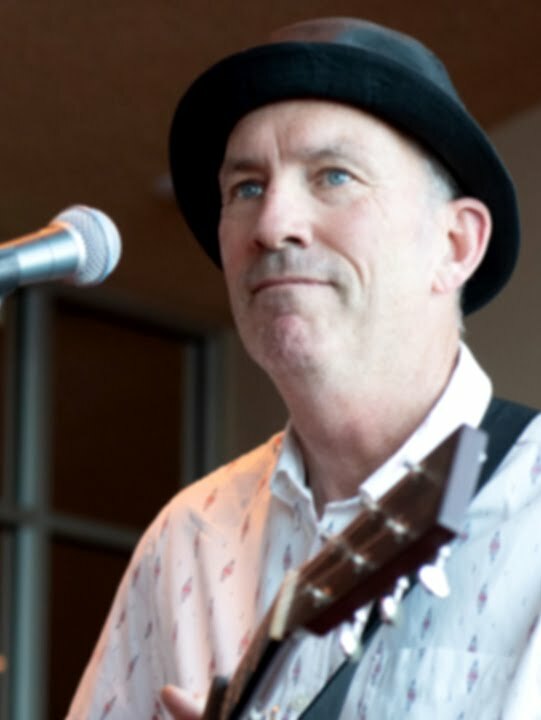 Whether playing in a concert setting or entertaining in the “background,” Jerry has the experience, ability, and sensitivity to adapt to any occasion and delight audiences with his amazing talent on guitar. 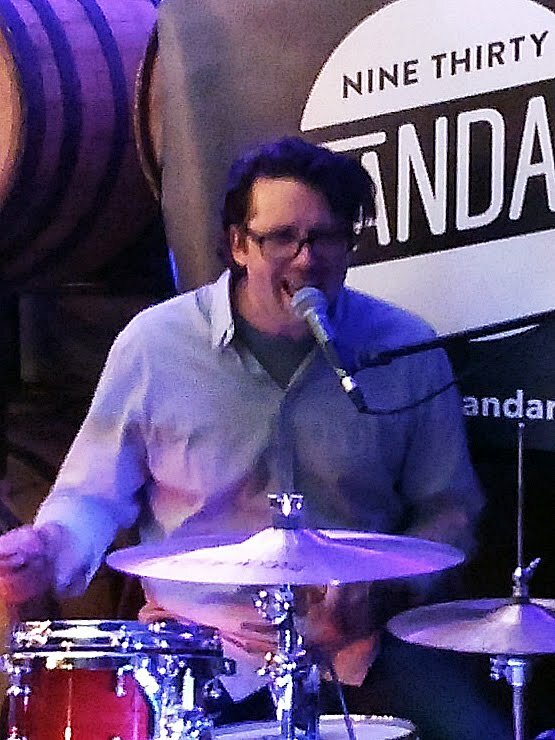 Chris Black (percussion, vocals) has been a drummer since 5th-grade band days! He played for countless high school and college bands before pursuing music full time in Los Angeles. Chris spent 12 years playing and recording with two notable punk rock bands, The Dollyrots and BANG sugar BANG, touring all over North America and the UK and playing alongside many internationally acclaimed bands. Returning to his roots in the Upper Midwest in 2017, Chris now gets his kicks playing soccer, skiing, and spending time with his beautiful family. Jim Anderson (bass) once lived in a quieter world embracing classical and folk guitar and renaissance wind ensembles. Approaching the threshold of the new millennium—and feeling the need to be heard alongside his oldest son’s emerging powers on drum set—he took up the electric bass and never turned back. Having played with a number of bands and worship teams in the Madison area, he enjoys bringing the bottom end to a variety of musical styles. "This has become one of my favorite songs...I love how they perform it. When I am alone in my van I love to sing it with Amy! It always lifts my spirits!" "Great job everyone! Made me want to get up and dance! Loved it!" "Amy not only gave me goosebumps but made me cry as well!" "Awesome! The music is great, and Amy, your voice must be a gift from God!" "It makes my heart sing to see the love you have for your craft, Jerry." "Yeahhhhh Great voice and music. Keep it up girl, you rock!!!!" "Love your CD Amy! I listen to it every day!" "Amy, you are one amazing singer." "Awesome group--love their music and the people!!" "Great sound....amazing voices. I'll be keeping an eye out for the next time you're in the area!" "The BEST live music around!" "Thank you guys for a great show on Saturday. [Young daughter] Nora had a blast and thank you so much Amy for being so gracious with her." "Had a great time last night! Amy and the band were sooooooo fun to listen to." "What a great time last night! You guys always amaze me!" "You have a BEAUTIFUL voice! You even rocked Adele!" "Nice! You guys are great!!" "Had a wonderful time! Thanks for such great entertainment!" "What a great time last night! You guys really rocked!!!" "...loved that evening. You all made it extra special!!!!" "Great group, great set list, lots of fun. Oh, and did I mention great people?" "Nine Thirty Standard was, as usual, simply awesome." "You guys make me smile. Great band, awesome people." "Great show last night, we had a blast." "AMY is fabulous and the band isn't too shabby either! LOL"
"Amy you get better and better everytime I hear you." "You ALL were AMAZING last night!" "Thank-you for the wonderful music...the night was perfect!" "Just wanted to tell you how much I enjoyed the show last night.... What great talent you have in your group--all of you!" "What a great time we all had!!! ...the only suggestion [my friend] has to improve the band is...to play longer...lol!!!!!"